The tri-tip, whether roast or steak, has grown from a little-known California cut of beef to a popular piece of meat. More and more, it is showing up in stores across the country and around the world. Tri-tip isn't the most tender cut, but the fine distribution of fat can make it flavorful and juicy if you cooking it (think grill) right. Here are 10 ways to prepare tri-tip. Grilled tri-tip roast has a ton of flavor. This recipe uses a simple spice rub and produces drippings you'll love to use for gravies and sauces. You can slice it and serve it as your main course or use it for a variety of dishes. Santa Maria Tri-Tip. Sabrina S. Baksh/Regarding BBQ Inc.
Santa Maria tri-tip barbecue is an old traditional cookout from the Santa Maria Valley in Southern California dating back to the mid-19th century. 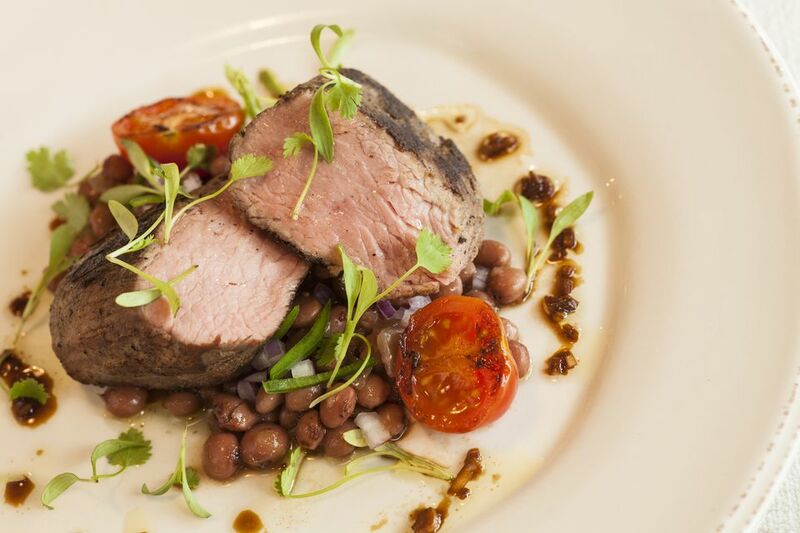 This delicious grilled beef is served with salsa, pinquito beans, and a green salad. The meat is either top sirloin or beef tri-tip. 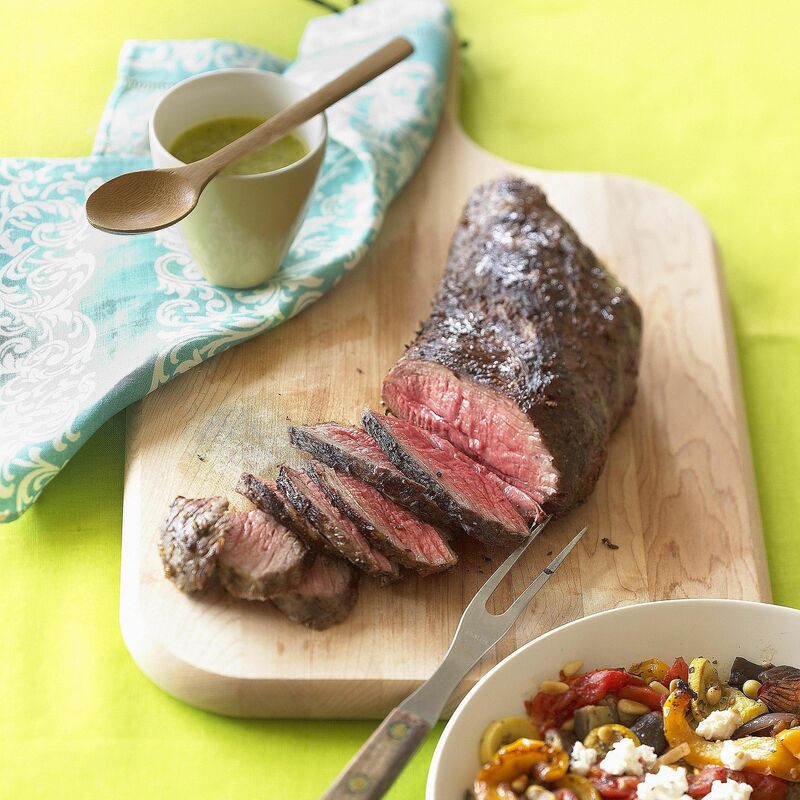 Marinating your tri-tip steak will help keep the meat tender when you grill it at higher heat. This simple tri-tip steak recipe uses a powerful marinade. You can then enjoy the steak with your favorite sides, or in sandwiches, wraps, and other dishes. For an Asian-inspired meal, you can make this sesame-ginger tri-tip steak or roast that has been deliciously marinated. Slice it to serve with rice or noodles and grilled or steamed vegetables. Smoked Tri Tip Roast. Sabrina S. Baksh/Regarding BBQ, Inc.
Smoked tri-tip roast is usually made over a live fire grill, but it also works great in the smoker. You will get a better-smoked flavor, but the surface won't be seared. You'll have to decide which way you prefer. Spice Rubbed Tri-Tip Roast. Regarding BBQ, Inc.
Add a Southwestern spice rub to your rotisserie tri-tip roast. The meat will dry-marinate in the rub for several hours before going on the grill. This spice-rubbed tri-tip roast would go well with grilled vegetable kebabs or grilled potatoes. Beer and wine together? Both are in the marinade, along with cilantro and lime, boosting the deliciousness of the Southwestern tri-tip steak. Choose a dark beer for a richer flavor and add more pepper flakes to heat it up. Please your family with this spice and savory Asian marinated tri-tip roast. If you take the step of boiling the marinade after the meat is on the grill, you can use it to make a sauce for your rice or noodles. You can easily substitute with flank steak, yielding the same fantastic result. Just be sure to adjust the cooking time. Don't be afraid to use coffee as a seasoning or in a marinade. The flavor really isn't that strong and it will help to enhance the flavor of this grilled espresso tri-tips steak. This simple grilled Cognac beef kebabs recipe is perfect for beef tri-tip. Buy the strips (sometimes labeled as steaks) and cut them into cubes. The marbling of this cut makes it fantastic for kebabs.